The United States Department of State released the annual Country Report on Human Rights Practices for The Gambia on March 3. Ambassador Alsup remarked that while the report was accurate for the final months of former President Jammeh’s tenure in 2016, The Gambia is now clearly embarked on a new and better path toward democracy and, most importantly, respect for human rights. She added, “We expect that next year’s Human Rights Report will reflect a much more positive image of The Gambia, including an end to human rights abuses and legal, judicial and constitutional reforms that will guarantee basic freedoms for all Gambians. In fact, teams from the U.S. Agency for International Development (USAID) and the Department of Justice will visit next week to determine how the United States can best support The Gambia transition to a nation that is truly democratic and free. The Gambia’s constitution enumerates a full range of provisions and assurances for a multiparty democratic republic. Human rights organizations and opposition parties, however, claimed the government repeatedly took steps to restrict the democratic space. In 2011 voters reelected President Yahya Jammeh to a fourth term in a peaceful, orderly election; however, international observers considered it neither free nor fair. President Jammeh’s party, the Alliance for Patriotic Reorientation and Construction (APRC), continued to dominate the political landscape, winning an overwhelming majority of national assembly seats in the parliamentary elections in 2012 and local assembly seats in local elections in 2013. Six of the seven opposition parties boycotted or otherwise did not participate in both the National Assembly and local government elections to protest government intervention and intimidation of opponents. Civilian authorities at times did not maintain effective control over the security forces. The regime responded with excessive force to peaceful public protests on April 14, April 16, and May 9. More than 70 supporters of the United Democratic Party (UDP) were arrested; several were beaten and tortured during the three protests. Thirty of the detainees were convicted on July 20 and July 21, and sentenced to three years’ imprisonment. Two of the detainees died in custody. During a period of political crisis, President Jammeh first accepted, and then rejected, the results of a December 1 presidential election in which he was defeated by Adama Barrow, the candidate of a coalition of opposition parties, in what international observers assessed to be a fair and democratic vote. On December 9, Jammeh declared that a new election would be conducted, and during the month he authorized three petitions challenging the election results in the Supreme Court. Jammeh refused to leave power despite visits by the UN special representative of the secretary general for West Africa and the Sahel and two high-level Economic Community of West African States (ECOWAS) negotiating teams. Several individuals wearing T-shirts with the slogan “#Gambia has decided” were arrested between December 9 and the end of the year. The military occupied the headquarters of the Independent Electoral Commission on December 13. 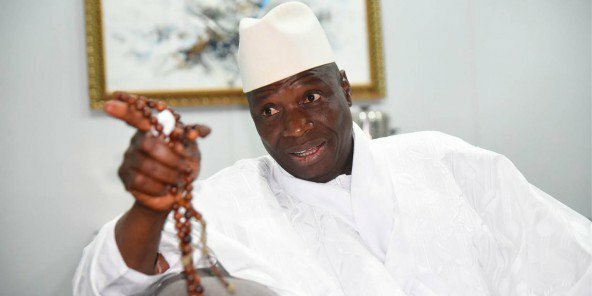 In December Jammeh also refused the requests of several local religious, professional, nongovernmental, and civil society organizations that he hand over power peacefully to President-elect Barrow. The most serious human rights abuses reported included torture, arbitrary arrest, and prolonged pretrial and incommunicado detention; enforced disappearances of citizens; and government harassment and abuse of its critics. Officials routinely used various methods of intimidation to retain power. Other reported human rights abuses included a corrupt and inefficient judiciary; poor prison conditions; denial of due process; restrictions on privacy and freedoms of speech, press, and assembly; corruption; violence against women and girls, including female genital mutilation/cutting (FGM/C); early and forced marriage; trafficking in persons, including child prostitution; discrimination against lesbian, gay, bisexual, transgender, and intersex individuals; and child labor. The government enacted laws banning FGM/C and early and forced marriage and took steps to prosecute or punish some individuals who committed abuses. Nevertheless, impunity and the lack of consistent enforcement remained problems.